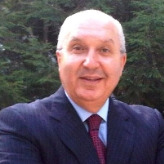 Antoine Chedid has served as Lebanon’s ambassador to the United States since July 2007. Chedid is a legal graduate from the French University of Saint Joseph/School of Law. He speaks fluent Arabic, French and English. Chedid entered the Foreign Service in 1978 and was posted overseas in the United States and Greece. As a young diplomat, he held the positions of assistant to the Secretary General of the Ministry of Foreign Affairs, consul, press attaché and political officer at the Lebanese embassy in Washington between 1979 and 1984. He was consul general in Los Angeles, California between 1984 and 1986, then served as presidential adviser for American affairs between 1989 and 1991 and as head of the America Desk Office in the Ministry of Foreign Affairs. From 1991 to 1998, Chedid served as consul general in New York, followed by his appointment as ambassador to Greece from 1998-2000. From November 2001 until June 2007, he served as head of the Bureau of International Organizations, Conferences and Cultural Relations at the Ministry of Foreign Affairs in Beirut.